Will and Vanessa Lark: Feliz Navidad! 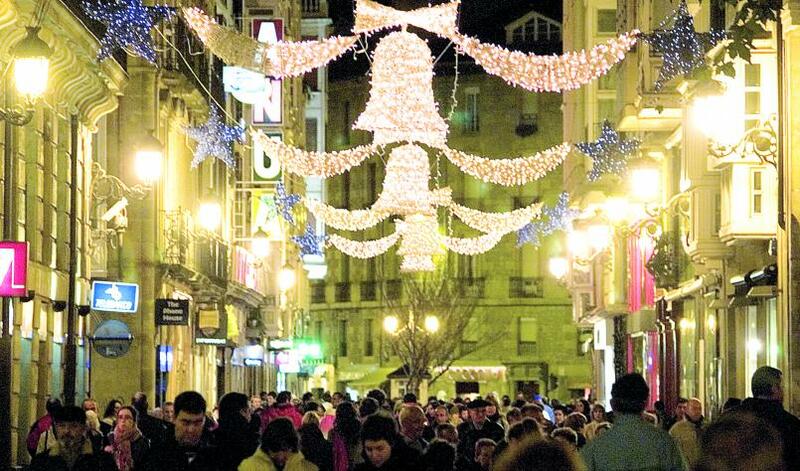 The lights are strung down the streets of Vitoria and the human sized Nativity scene is now open to the public, there is no doubt that Christmas is nearly here. Though we thought we would be alone for the holidays, turns out we have two elves on the way. My brother, Junior, and his girlfriend, Diana, will arrive in Spain the morning of Christmas Eve to keep us company through New Year's Day. As part of their visit, I've planned a road trip to Madrid and it's a pretty tight schedule. 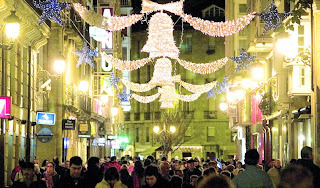 We'll head out from Vitoria December 27 and stop in Salamanca to visit one if the oldest universities in Europe, then Segovia to see one of the most well preserved Roman aqueducts as well as the castle that inspired the Disney version, then El Greco's favorite town of Toledo, past Don Quixote's windmills and into Madrid arriving December 30. So in case we don't speak until the new year, we wanted to wish you a very Happy Holiday season from across the Atlantic. We'll try to catch up soon, but in the meantime we're sending warm wishes your way.